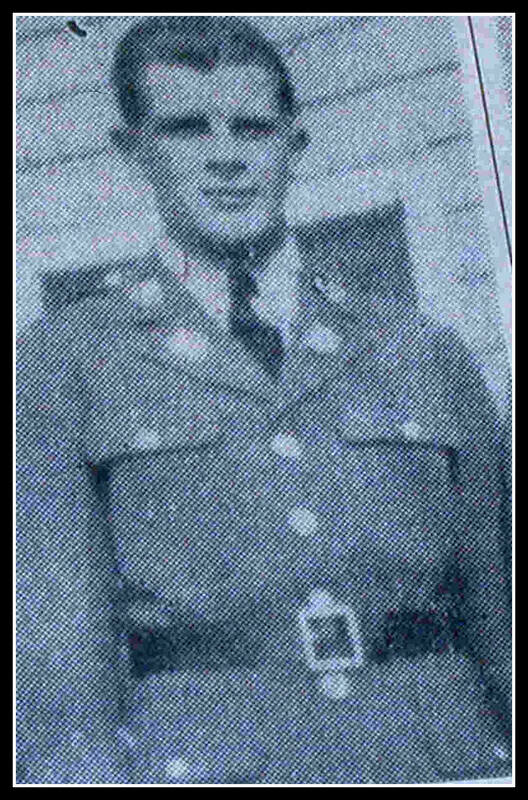 (March 15, 1945) -- Pfc. Theodore P. Sanok, 29, was killed in an accident at Camp Blanding, Fla. No details of his March 9 death on were released. He is the son of Joseph and Stella Sanok of 16 Montgomery Place, Belleville, N.J.
His wife is the former Alice Syloski, in Bloomfield. He leaves behind a 3-month old daughter. He had been home for her birth. 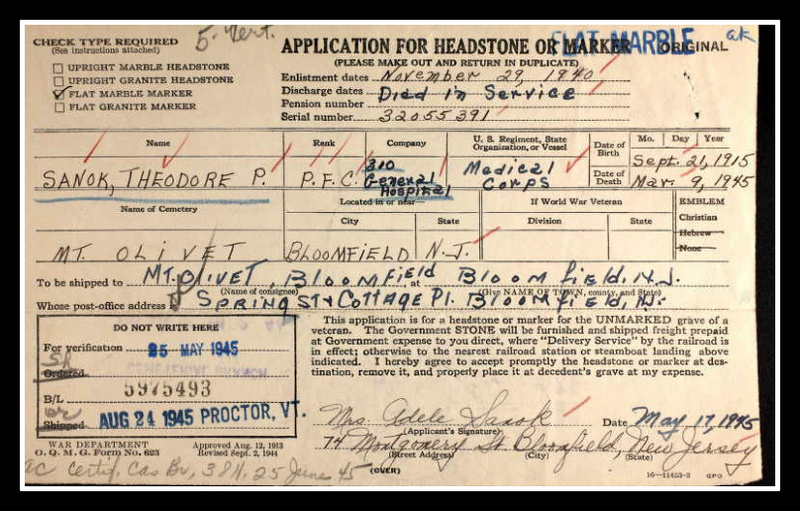 He served in the Medical Corps at Fort Monmouth; Halloran Hospital, Staten Island; England General Hospital in Atlantic City; and Fort Lewis, Wash., before going to Camp Blanding. Pfc. Sanok is interred at Mount Olivet Cemetery, Bloomfield, N.J.